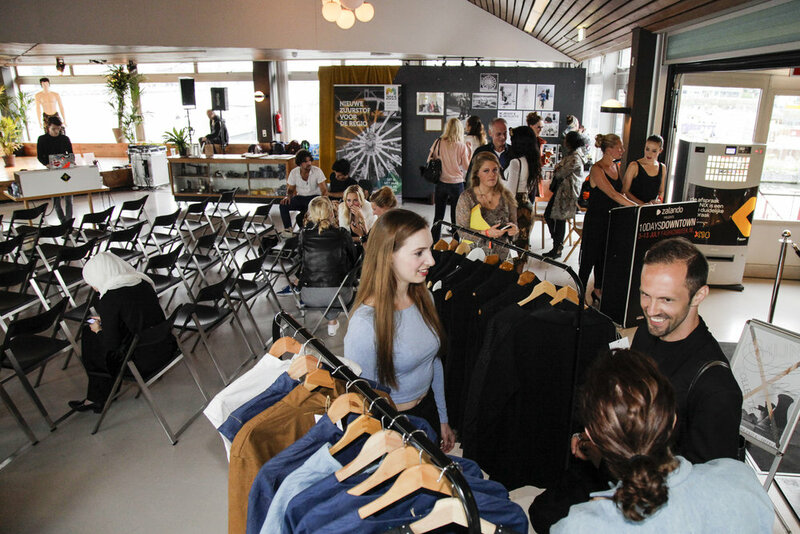 Fashion and history went hand-in-hand on day 6 of Zalando presents 10 Days Downtown as part of Mercedes Benz Fashion Week Amsterdam. 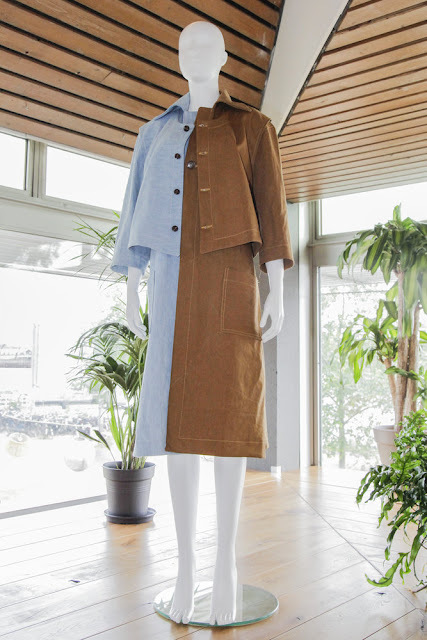 At the Tolhuistuin in Amsterdam three fashion designers Linda Friesen, Ebby Port and Gabriel + Guevara presented their creations inspired by the traditional dress once worn by immigrants who worked in the mines of South Limburg, the most southern province of the Netherlands. As part of the Year of the Mines these three young South Limburg designers, Linda Friesen, Ebby Port and Gabriel + Guevara presented their contemporary version of miners clothing. The 'MIJNcollectie' consists of five unique haute couture designs and a ready-to-wear line. 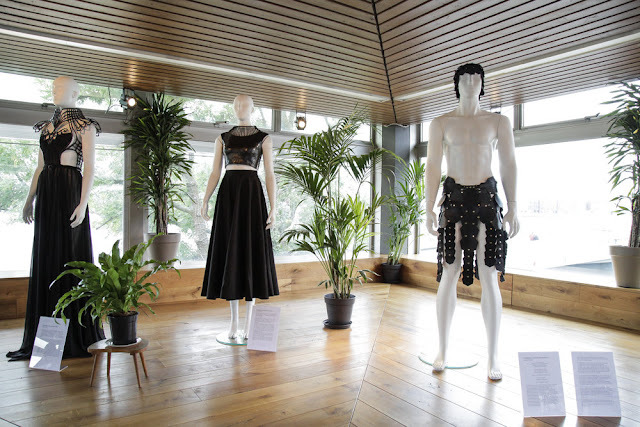 All pieces are an interpretation of the former miners and clothing inspired by one of the cultural communities who worked in the mines (Italy, Poland, Slovenia, Belgium, Germany, Hungary, Morocco, Spain and Friesland). Each design was inspired by a different cultural heritage. Youngsters for the training institute 100% Heerlen worked on more simplified designs and made 10 pieces which are offered for sale in the temporary MIJN Shop at Framer Framed in Tolhuistuin until the 14th of July.